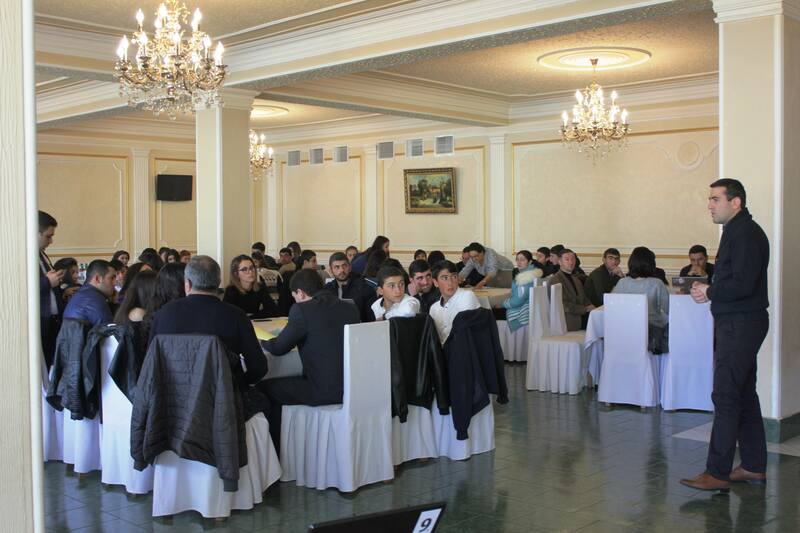 The kickoff event of the “Equal Opportunities for National Minorities and Disadvantaged Groups in Realizing Cultural Rights: Richness through Diversity” project took place on April 13, 2012 from 11.00 to 13.00 at the Trdat 2nd hall of Armenia Marriott hotel (1 Amirian, Yerevan). 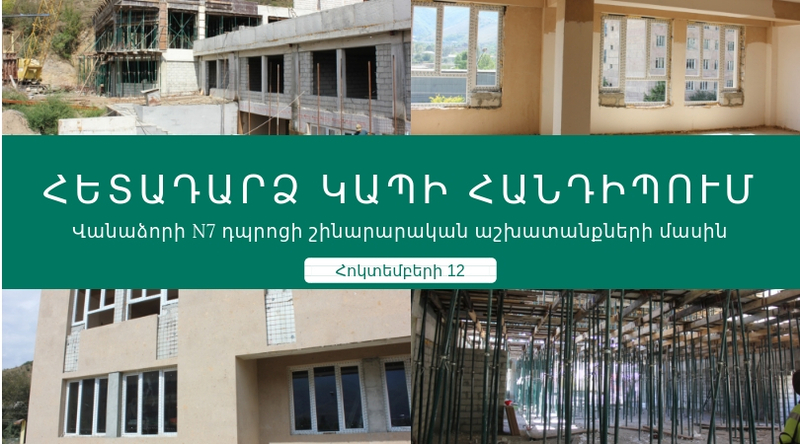 The project commenced in February 2012 and is being implemented by the consortium of Civic Development and Partnership Foundation (CDPF) – Armenia, “NGO Center” Civil Society Development Organization (NGOC) – Armenia and “GURT” Resource Center – Ukraine with funding provided by the EU. The project goal is to ensure cultural diversity and support national minorities to preserve their cultural values through strengthening and empowering the capacities of local self-governance bodies, civil society organizations (CSOs) and cultural infrastructures in Armenia and Ukraine. Participating in the event were over 60 representatives of state instances, local self governance, Armenian national minority CSOs, foreign and international organizations, embassies and mass media. NGOC corrdinator Arpine Hakopyan and CDPF project coordinator Maria Poghosyan welcomed the event participants. The keynote speaker was Mrs. Hranush Kharatyan, the president of “Hazarashen” NGO. Мrs. Kharatyan is a social anthropologist and the topic of her presentation was “About the Cultural Life in Armenia: involvement of national minorities and disadvantaged groups”. In her welcoming remarks, Arpine Hakopyan mentioned the following: “ Though Armenia is a mono-ethnic country with 97% of population being Armenian and only 3% representing national minorities, it is worth remembering that Armenia is the motherland of all its citizens. Thus, a conducive and favorable environment for self identification is key. And Tolerance is the milestone towards the conducive and favorable environment. Through promoting tolerance in Armenia, we make a step forward towards dissemination of this value globally”. In her speech, Arpine Hakopyan encouraged the participants to manifest pro-active disposition towards tolerance to national minorities and passed the floor to Maria Poghosyan who welcomed all those present and introduced the agenda of the event. Mrs. Kharatyan talked about overall cultural life and the involvement of national minorities. She stressed that their cultural development is not slow but is rather in the same development pace as that of the entire republic. She also referred to the RA respective legislation, mentioning that the latter is pretty much in place. Armenia has joined international conventions that ensure fertile environment to promote cultural development of national minorities. Afterwards, CDPF coordinator Maria Poghosyan presented the project goals and objectives. Arpine Hakopyan continued the project presentation and talked about the targeted communities. Event participants saluted the presentations. In their remarks they stressed the importance of initiating such a project and mentioned that Armenia greatly needs it. At the end of the event, the floor was given to community representatives. In their remarks, the guests said words of appreciation, briefly presented the situation on the grassroots level and expressed hope that the community cultural life will become more active, and this, in turn, will become a leverage for national minorities and disadvantaged groups to better exercise their cultural rights. Following the presentations, Maria Poghosyan wrap upped the event and invited everyone for refreshments.